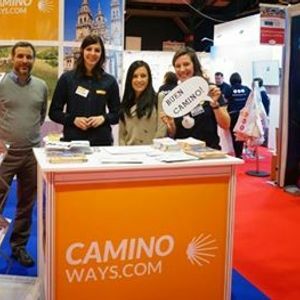 The CaminoWays.com team will be attending ITB Berlin again this year. The show takes place from the 6th -10th of March 2019 in ExpoCenter City, Messedamm 22, 14055 Berlin and we are looking forward to meeting our fellow travel enthusiasts. Meet Andre and Esther, our travel experts in Hall 2.1 at Stand 11. Whether you are travelling solo or with a group of friends, they’ll be able to advise you on the best route and trip for you. 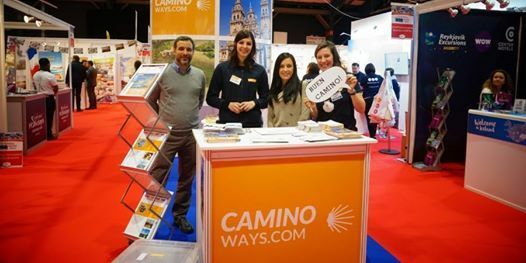 Subscribe to the CaminoWays.com newsletter at our booth and you’ll have a chance to win fantastic prizes, including a voucher worth €1000 to spend on your next CaminoWays.com trip. We’ll also have 6 runner up prizes worth €100 each. We’ll also be running a special discount offering 10% OFF all bookings during the show. If you are a travel agent and would like to arrange an appointment during the show, please send us an email at YW5kcmUgfCBjYW1pbm93YXlzICEgY29t and we’ll be able to organise a suitable time.